Why Select Third-Party Tools to Manage Server and Networking Infrastructures? Microsoft has equipped the organizations with the Windows server operating system and other server tools like Exchange Server, SQL Server, SharePoint Server, etc. 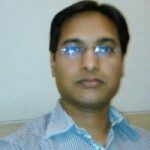 In addition, there are inbuilt server tools like DNS Server, DHCP Server, File Server, and Active Directory to create a complete networking infrastructure inside an organization. However, the server and networking management using the traditional Microsoft tools become obsolete at a level. In this blog post, we’ll discuss how these tools fail to serve the purpose and why the need of using third party tools arises. Audit 300 users of five departments, and to keep a check on the file modifications on the file server to trace the unauthorized accesses to the sensitive data. How much time will they take for these two tasks? Almost three to four weeks, but the management wants them to complete this task in four days without a hit to the daily demands of troubleshooting the computers, managing the networks, seeing the logon/logoff, and other work. Is it possible? The simple and straight answer will be NO. Let us take another example of auditing. Every organization (small/large) wants its IT staff to perform the auditing of every server being employed in the office for complying with the standards like PCI DSS, HIPAA, GLBA, FISMA, etc. on a daily basis. Now, the IT team has to devote a lot of time to browse the Event Viewer, segregating the events into different categories, identifying the events for each server (file server, Active Directory, DNS, and others), reading out the event description, and storing the events permanently. This manual auditing using the native tool will consume a lot of time and resources. Where are the issues? The IT helpdesk has to bear a big burden in both of these scenarios discussed above. If they’re asked to address the daily IT issues along with the above tasks, then there will a bottleneck situation for sure. Yes, there are different commands and scripts available online at Microsoft’s TechNet Library but require a lot of time to execute. The Preferred Alternative – The best alternative available to the IT helpdesk and to non-technical users for managing the server and networking infrastructure is the usage of third party tools. One can find different free/paid utilities from the trusted vendors to manage the servers. These tools will not only feature bulk object management but also helps in auditing the servers for the regulatory compliances. For example, Lepide Active Directory Manager allows creating, deleting, or modifying the hundreds of users at once. It also helps the administrators to perform bulk group management and bulk computer management. This is the perfect tool for the first scenario except the file auditing task, which can be accomplished using another tool called LepideAuditor for File Server. For the second scenario, the best available tools are LepideAuditor for Active Directory, LepideAuditor for Exchange Server, and LepideAuditor for SQL Server. These tools will prepare the dedicated report for satisfying the compliances, store the logs permanently, and send real-time alerts to the recipients for critical changes or accesses. 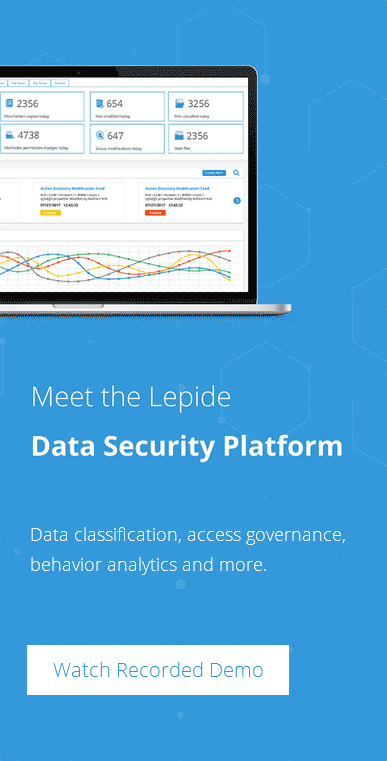 These tools from Lepide will automate the task for server management and server auditing. The IT helpdesk will now have to spend less time in performing the tasks discussed in the above two scenarios. They’ll now have ample amount of time not only to deal with the daily IT issues but they will be also free to handle any urgent requirement or tackle an emergency. Microsoft native tools are of utmost importance to setup the server and networking infrastructure, but don’t serve the purpose, especially when it comes to managing the objects in bulk that too in a limited time. Here comes the need of third party tools from the trusted vendors.